I hope you all had a very merry Christmas! Only a few more days until the new year. With that comes changes. As I mentioned before, on January 1st I'm moving to Manhattan!! I have spent most of the break "pinning" ideas for my new apartment. 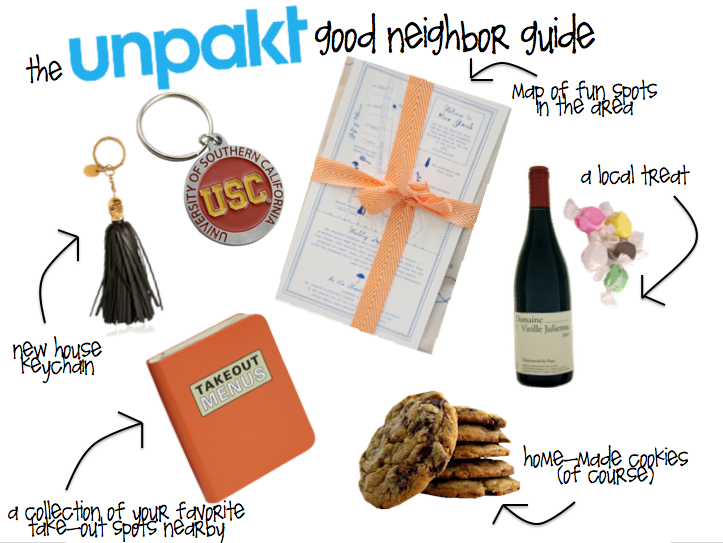 Right now I am also doing PR for my moving client (unpakt.com) and I thought, what are some fun, creative ways to greet new neighbors? So I made this "Good Neighbor Guide". Just a few ideas of fun, local treats to welcome new friends to your area. What fun gift ideas do you have for me? Share moving stories below.. and be sure to tweet @unpakt or follow their Facebook.